With a stay at Silverado Lodge, Park City - Canyons Village in Park City, you'll be next to a golf course, just steps from Canyons Resort and a 3-minute drive from Red Pine Adventures. 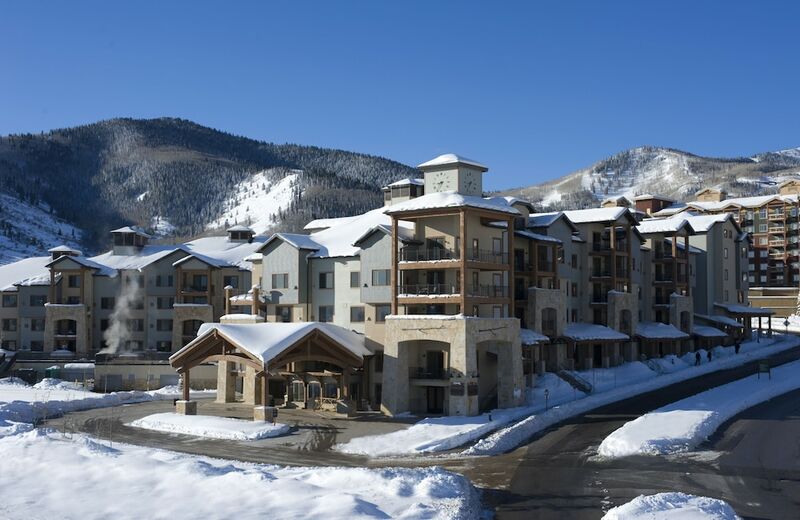 This 4-star condominium resort is 4 mi (6.4 km) from Park City Mountain Resort and 4.3 mi (7 km) from Main Street. Make yourself at home in one of the 180 air-conditioned rooms featuring microwaves and flat-screen televisions. Complimentary wireless Internet access keeps you connected, and cable programming is available for your entertainment. Private bathrooms with showers feature complimentary toiletries and hair dryers. Conveniences include phones, as well as coffee/tea makers and irons/ironing boards. After a day on the slopes, enjoy recreational amenities including an outdoor pool and a spa tub. This condominium resort also features complimentary wireless Internet access, ski storage, and wedding services. The complimentary ski shuttle makes getting to the slopes a breeze. Featured amenities include complimentary newspapers in the lobby, multilingual staff, and luggage storage. Planning an event in Park City? This condo resort features 2200 square feet (204 square meters) of event facilities. Free self parking is available onsite. After a day on the snow, enjoy a relaxing soak in the spa tub and an invigorating swim in the outdoor swimming pool. Getting to the slopes is a breeze with this mountain condominium resort's complimentary ski shuttle. Wireless Internet access is complimentary. This ski condominium resort also offers ski storage, a sauna, and a fitness center. Guests can use the outdoor pool and health club at a partner property. Onsite self parking is complimentary. Silverado Lodge, Park City - Canyons Village is a smoke-free property. Reservations are required for golf tee times. Reservations can be made by contacting the condo resort prior to arrival, using the contact information on the booking confirmation. Parking height restrictions apply.